WEST LAFAYETTE, Ind. – Purdue University researchers have developed a technology aimed at making it easier to deliver cancer treatment to the right “address” in the body while also easing the painful side effects of chemotherapy on patients. One of the big issues with chemotherapy is that most treatment approaches focus on the tumor itself without paying significant attention to the microenvironment surrounding the tumor. The new method is detailed in the nanotechnology journal Small. The Purdue method uses nanoparticles, which are considered promising carriers of drugs needed for chemotherapy to target tumors. The researchers developed a technique to prepare polyol-modified nanoparticles so they locate cancerous cells and tumors by checking out blood vessels surrounding the tumors. 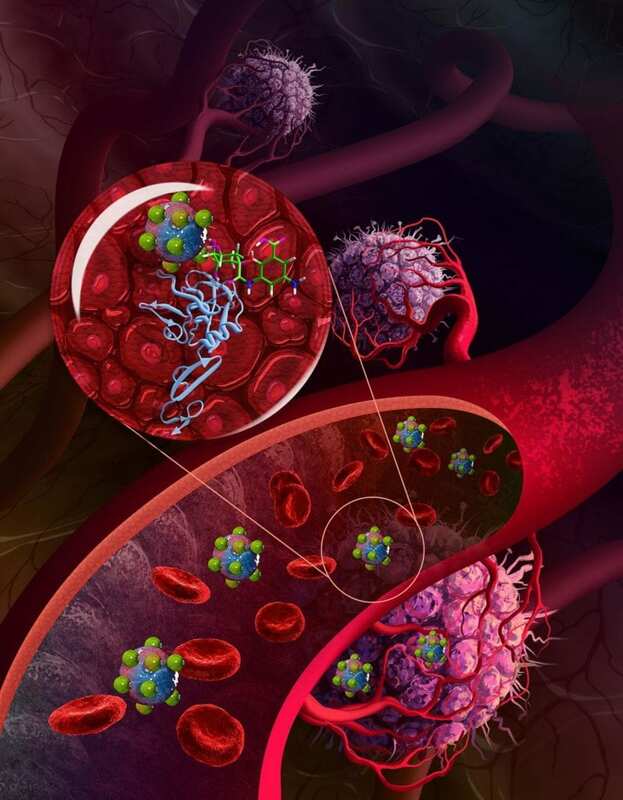 The nanoparticles then interact with the vascular lining to enter tumors and destroy them. The Purdue researchers said their method helps the nanoparticles to exit from the circulation and enter tumors and better treat the cancer. They have tested the method on breast cancer and melanoma models and believe it also will prove effective for many types of cancerous tumors. The Purdue Office of Technology Commercialization operates one of the most comprehensive technology transfer programs among leading research universities in the U.S. Services provided by this office support the economic development initiatives of Purdue University and benefit the university’s academic activities. The office is managed by the Purdue Research Foundation, which received the 2016 Innovation and Economic Prosperity Universities Award for Innovation from the Association of Public and Land-grant Universities. For more information about funding and investment opportunities in startups based on a Purdue innovation, contact the Purdue Foundry at [email protected] For more information on licensing a Purdue innovation, contact the Office of Technology Commercialization at [email protected] The Purdue Research Foundation is a private, nonprofit foundation created to advance the mission of Purdue University.